I can never stay away from roasted vegetables for very long. 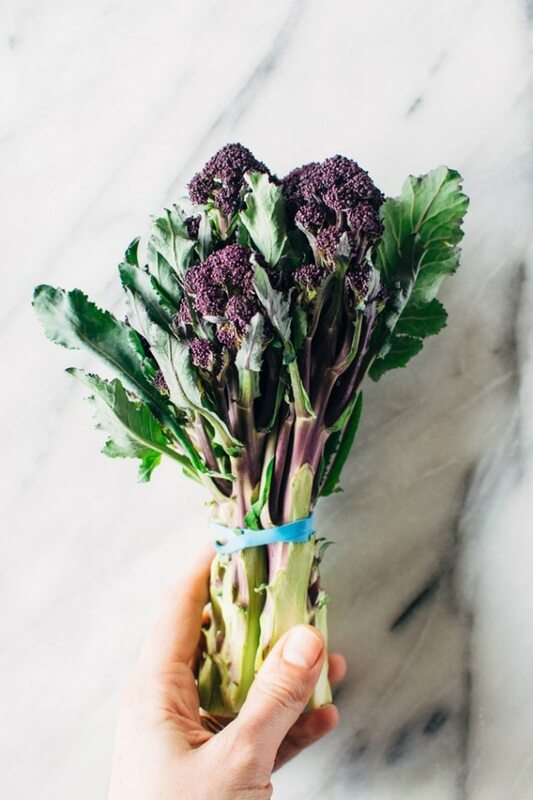 And this time, I found some very pretty spring purple sprouting broccoli to roast and drizzle with a caper basil tahini sauce! 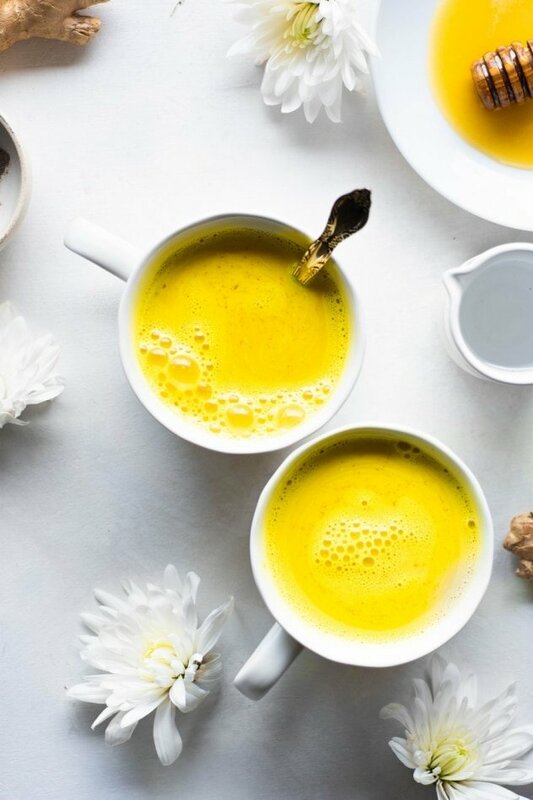 And after a week in Mexico eating (and let’s be honest, drinking) ALL THE THINGS I’m pretty pumped to be sharing this healthy deliciousness with you. 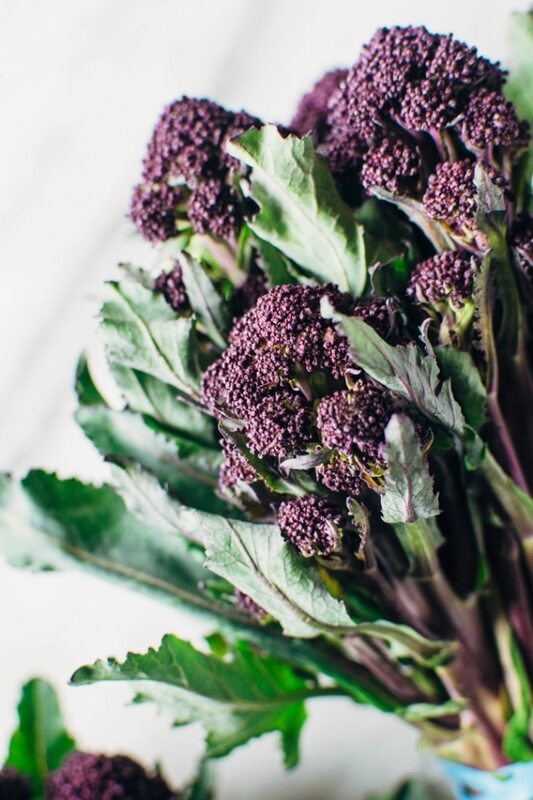 Purple sprouting broccoli just happened to be that one piece of sweet spring produce that I discovered on my latest trip to the grocery store, but if you’re local market shelves aren’t stocking this pretty veg don’t fret! 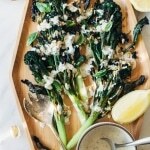 You can easily substitute broccolini or regular broccoli. But if you DO see it at the store I bet you’ll wanna grab some, too. I mean LOOK at that gorgeous color. I love broccoli, but when broccoli is purple it’s a whole other level of love. Like can’t keep my hands off it love. And on top of being beautiful, it has a really spectacular flavor as well. It’s quite sweet and incredibly tender, with all the charming complexity of broccoli that we love. And actually a closer relative to romanesco than broccoli, oddly enough. but comes into season a bit earlier than either. Which makes it the PERFECT candidate for a vitamin packed spring roasting indulgence. 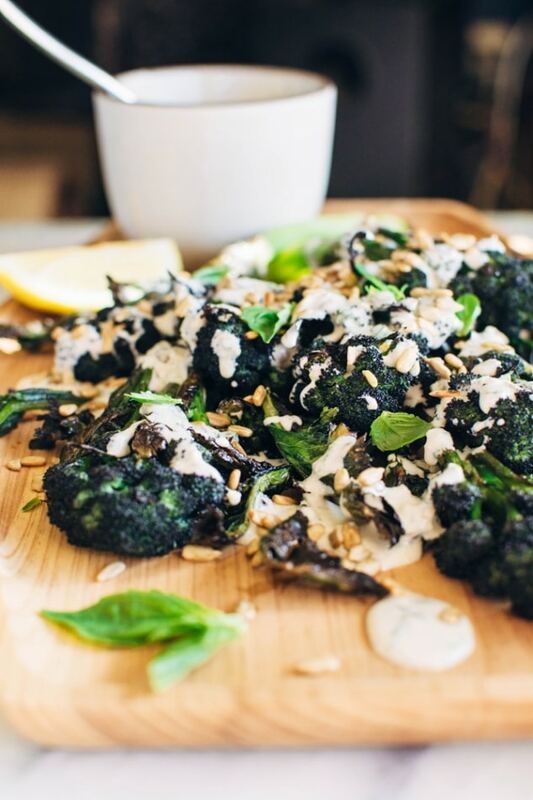 Charred to perfection and drizzled with CAPER BASIL TAHINI SAUCE and we’re talking some seriously amazing stuff, you guys. 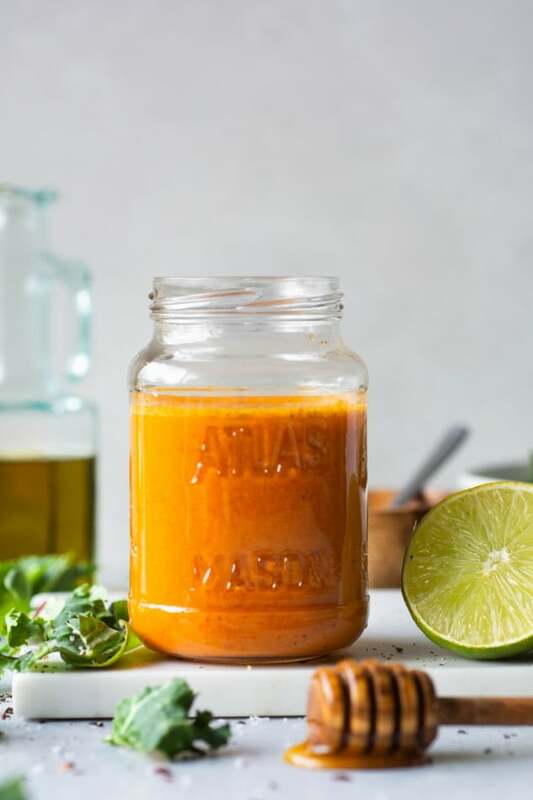 This sauce started off a little bit more simple – basically garlic + lemon + tahini sauce, but then you know, I can kinda get wrapped up in the whole sauce thing. And fresh basil + capers pretty much take anything to the next level. Because the whole vegetable is really quite flavorful and tender I kept as much of the stem intact as I could by barely trimming the ends and peeling away the tough, thicker skin of the broccoli with a vegetable peeler. After which I briefly blanched it before drying, seasoning and roasting. The blanching did cause some of the purple color of the broccoli to leach out of the florets, so if you want to maintain as much of that vibrant hue as possible I would recommend steaming it for an equal amount of time instead. 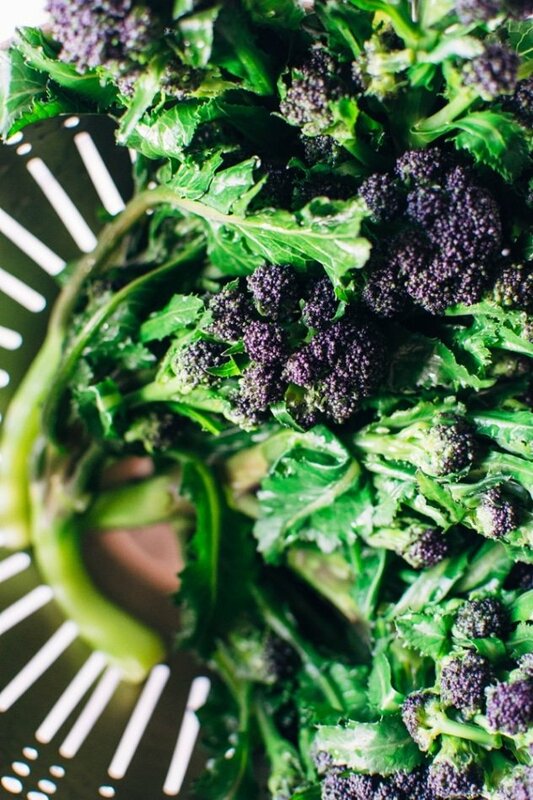 After the broccoli comes out of the hot water and gets cold rinse or an icy bath to stop the cooking, you’ll dry it super well (to prevent steaming instead of charring, which is why we’re all here, right? ), and season it with a little high heat cooking oil + salt before popping it in the oven. 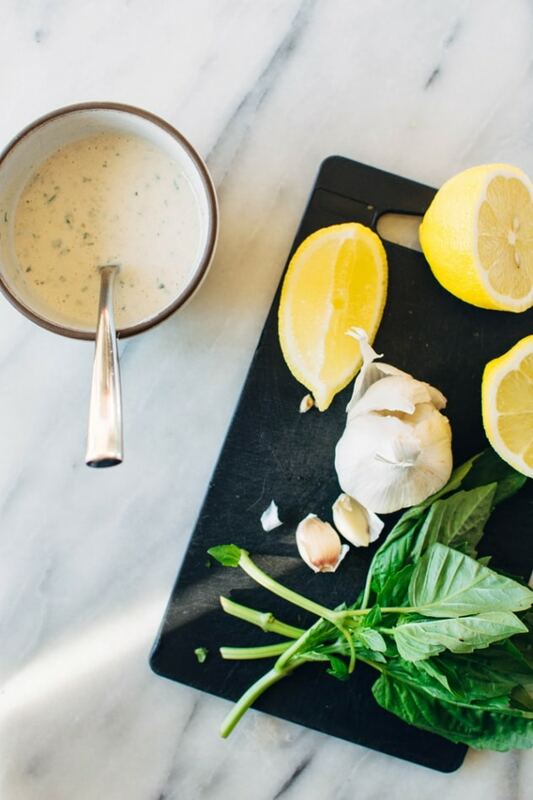 And while it’s charring away and then cooling a bit you’ll have just the right amount of time to whip up the caper basil tahini sauce. 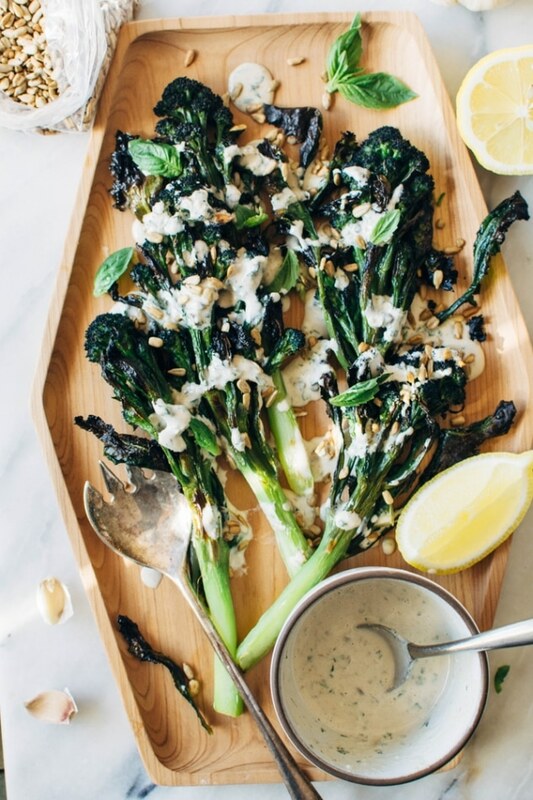 Charred purple sprouting broccoli with caper basil tahini sauce is a simple spring vegetable recipe with purple sprouting broccoli and an easy to make tahini sauce that’s elevated with garlic, lemon, capers and basil, topped with some toasted sunflower seeds for crunch. 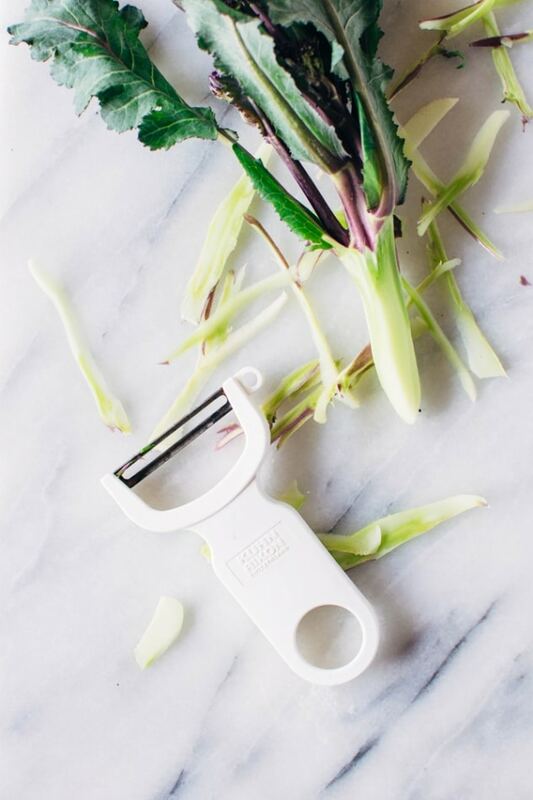 Trim any thick woody ends off the broccoli and use a vegetable peeler to peel away the outer most layer of the stemmy part of the stalk so they’re all relatively similar in size // thickness. Bring a large pot of salt water to a boil and preheat oven to broil on high. Add broccoli to the boiling water and cooking for 3 minutes (less if they’re very thin stalks). Remove to a colander and run cold water over them or immerse in an ice bath immediately to stop the cooking. Thoroughly pat dry using paper towels (or a dish towel that is not white! Mine was stained purple from this step). Drizzle with avocado oil and a few big pinches of sea salt and toss to coat. 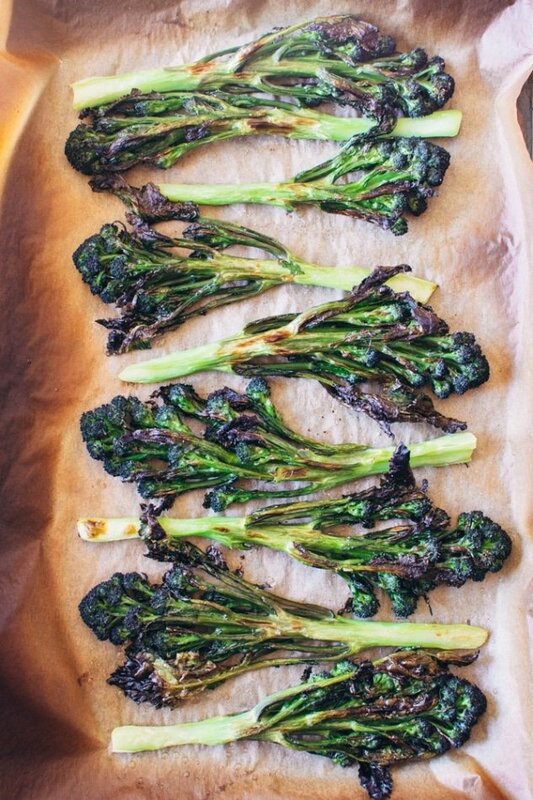 Line up on a parchment lined baking sheet, being careful not to crowd the pan (you can always do the broiling in two batches if necessary – if you cook the broccoli too close together it will steam instead of char). Broil on high for 4 minutes. Flip and broil on the other side for about another 3 minutes, until very hot and charred on the edges. 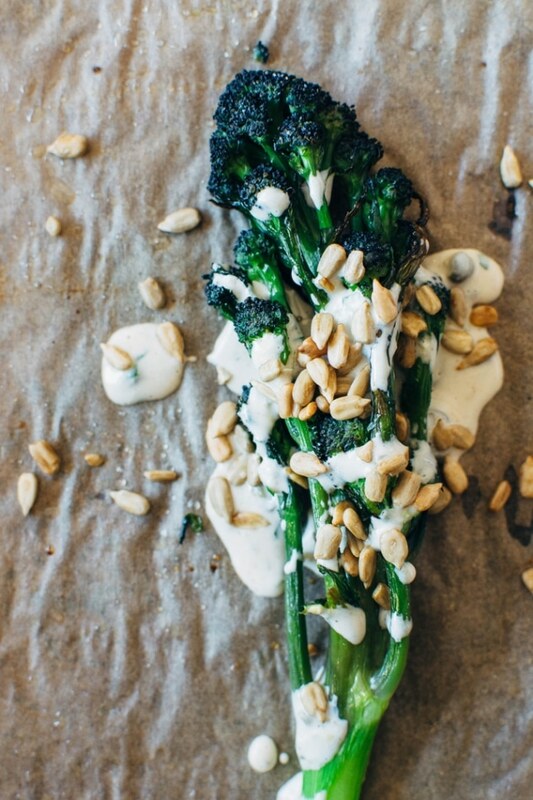 While broccoli is cooking // cooling, make the tahini sauce. 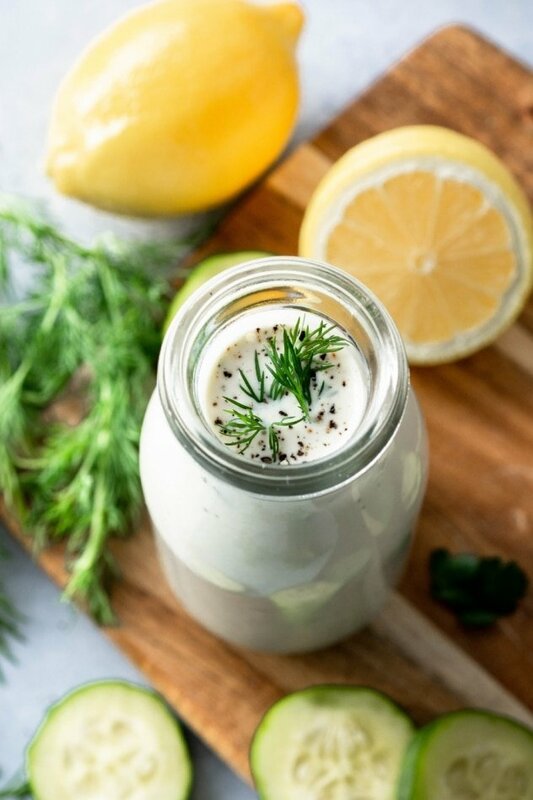 Whisk together tahini, grated garlic, lemon juice, zest, white wine vinegar and maple syrup. The mixture will be very thick at this point. 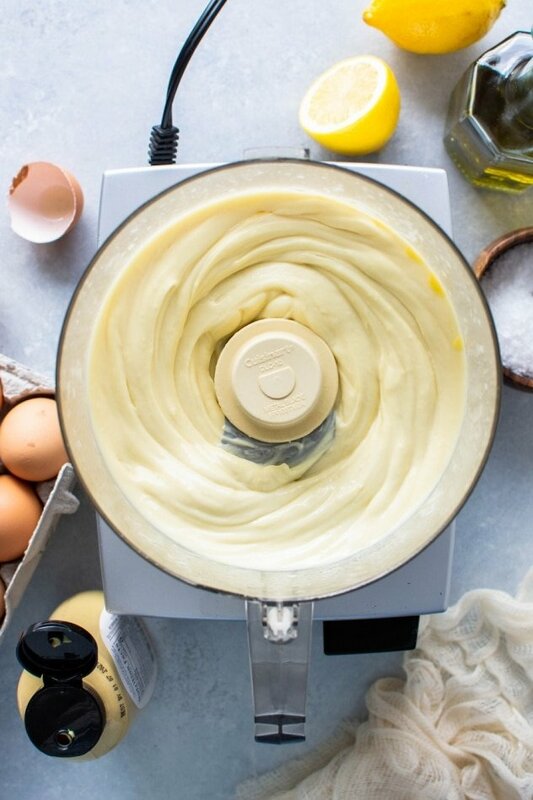 Thin by whisking in water about 1 tablespoon at a time, until you reach the consistency of thin yogurt. Stir in chopped basil and capers and season with more salt + lemon if desired. 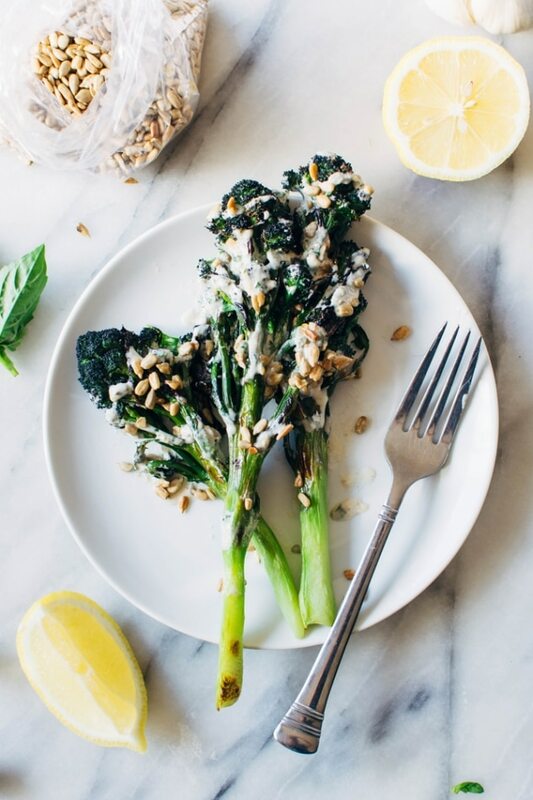 Plate a few spears of broccoli on serving plate, drizzle with tahini sauce, and garnish with toasted sunflower seeds, a few pieces of fresh basil and a bit of flaky sea salt and serve! 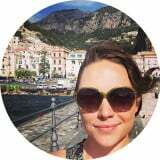 This entry was posted in side dishes, Uncategorized and tagged broccoli, easy, gluten free, grain free, healthy, paleo, quick, spring, vegan, vegetable, vegetarian on April 25, 2017 by Nyssa Tanner.